How do you turn 70 pages of extraordinary writing into a walking tour with a difference? Well, I think we’ve just done it with ‘Ropewalks’. Our theatrical walking tour takes a look at the underbelly of our city and the lesser-known tales of some of its inhabitants. History is written by the victors we know, but this tale scripted by writer Jon Nash takes some of the invisible people and puts them front and centre. From fisherwoman and abolitionists to the starving inside our walls during the civil war, ‘Ropewalks’ traces the steps of the untraceable and celebrates their extraordinary stories. We hope it also charges audiences with excitement and enquiry about our hidden city. The Blitz may have decimated our physical spaces but this walk offers you a glimpse into the beating heart of those who call themselves Plymothians, past and present. We’ve been overwhelmed by the tremendous audience response so far. ‘Ropewalks’ started on 20 May and to date we’ve had 14 performances – all of which have been brilliantly received and more or less sold out. The three characters who lead people around the waterfront are all women. In days gone by the females of our city had to be tough while they were left to hold the fort by the men who went to sea; battling, fishing, trading or exploring the world. When Count Magalotti visited Plymouth in 1669 he remarked that he could only see women and boys! 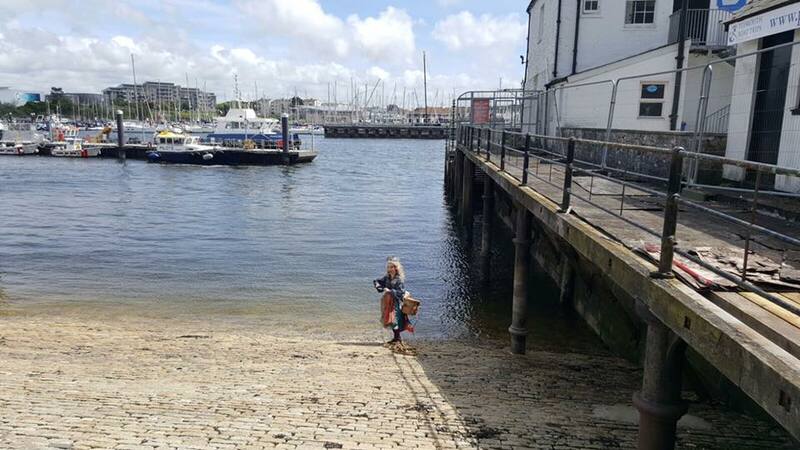 All our audiences so far have told us how much they’ve enjoyed the experience and they’d love to see more like this in Plymouth – what a wonderful start to a pilot project! Looking specifically at the words they’ve used to describe the performance is really interesting. ‘History’, ‘Fun’ and ‘Very’ (as in very interesting, very good, very funny) appear in half the responses, so we’re clearly getting our message across. We wanted to tell history in a new and very exciting way and it seems people agree we’ve achieved that. Some of my favourite comments have been: “Fantastic, funny, enjoyable and informative”; “Very professional, very funny, very PLYMOUTH! Well done and thank you”; “Very informative and entertaining, smiled the whole way around” and “So different and very entertaining”. I was thrilled that my elderly neighbour hobbled her way around and loved it as much as one of my friend’s little six year old and 13-year old – that proves to me that the performances have something for everyone. ‘Ropewalks’ is now taking a short break and will begin again in time for the summer holidays on 6 August when we’ll deliver another 16 performances on Wednesdays and Sundays. Two of these have already sold out so if you want to come along don’t leave it too late to book your tickets! 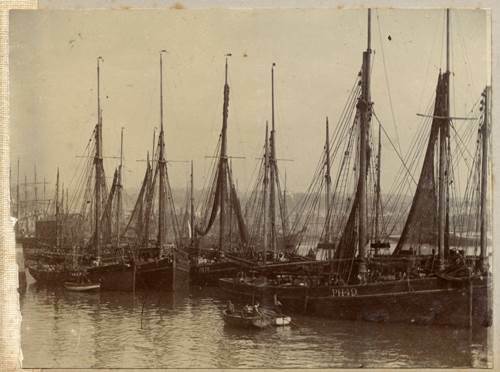 Visit our ‘Ropewalks’ project page for more background information and links. 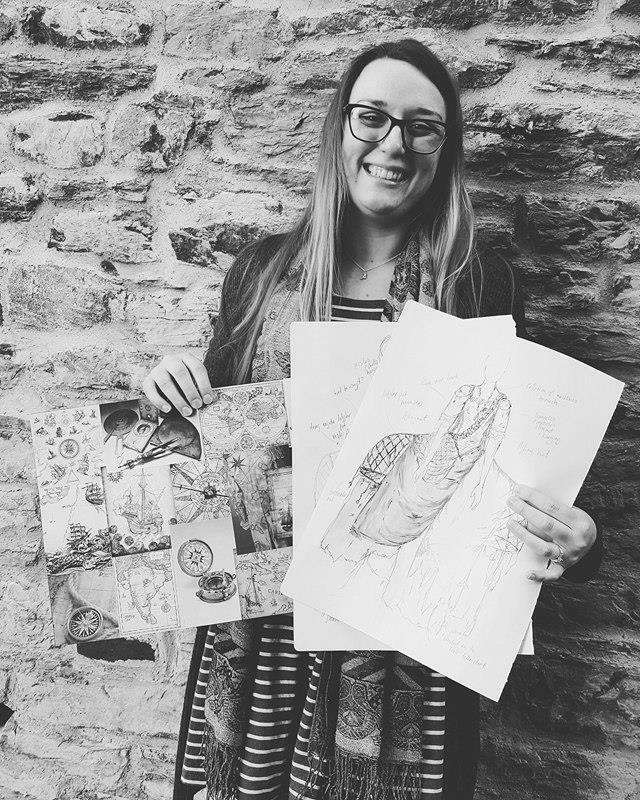 I’m a recent graduate from Plymouth College of Art where I studied Costume Production and Associated Crafts. I’m ready to set out on my career as a freelance costume designer/maker and the ‘Ropewalks’ project has enabled me to take the first step on this path as well as work locally. I have a passion for creating elaborate costumes that capture the imagination of others. ‘Ropewalks’ was the perfect opportunity for me to go all out with my elaborate designs! I wanted to harness the colours and atmosphere of the Barbican so have used the rich shades you often see on the fishing boats in the harbour as well as inspiration from our local maritime heritage. 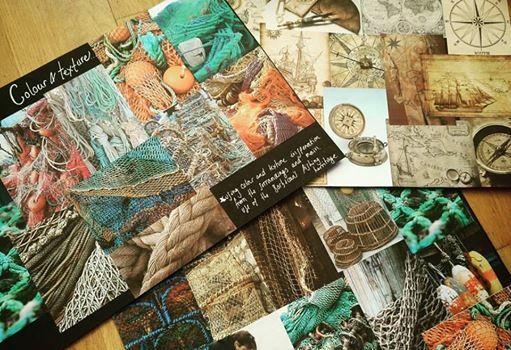 My design process began with a range of mood boards that I put together, filled with images of the history of the Barbican, the boats and their colourful nets. Whilst creating these costumes, I met Mariana from ‘The Ocean Corner’. Mariana collects ocean debris for creative workshops and transforms vintage fashion into beautiful works of art. This was the inspiration for the headpieces I made to accompany the costumes. I wanted to create a visual spectacle with the three Barbican women who are the main characters in ‘Ropewalks’. They are meant to be timeless and have so many stories to share. I wanted to create an image of three women who think they are invisible, when in fact they are quite the opposite with their colours, shapes, tales and all round kookiness! 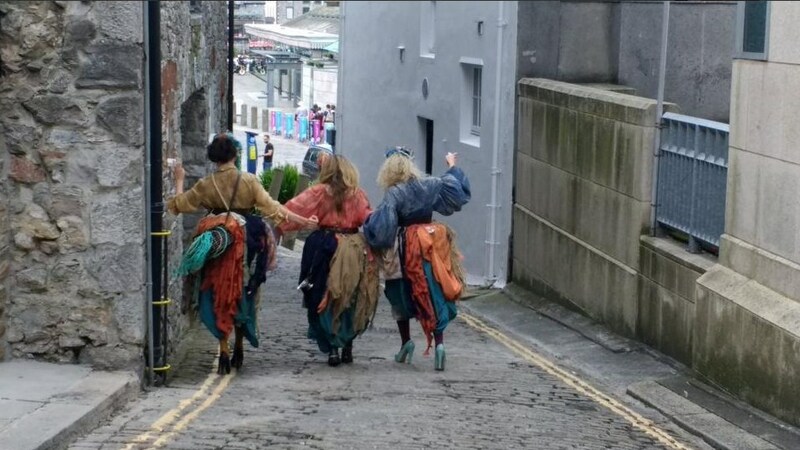 I was around for the first weekend of performances in late May and was able to observe the reactions that the general public had as these three women and their audiences went walking down the Barbican’s cobbled streets. People were intrigued. What’s going on? What on earth are they wearing? That’s exactly the reaction I was hoping for! I feel honoured to be a part of this new and exciting project. It has boosted my confidence and I have thoroughly enjoyed working with established professionals. I hope that the tours capture peoples’ imagination and help them learn new things about the Barbican in a fun and memorable way. See more images of Hannah’s brilliant costumes on our photostream. It’s been another busy few weeks for our Collections staff so I thought I’d round up a handful of the things they’ve been working on in this post. 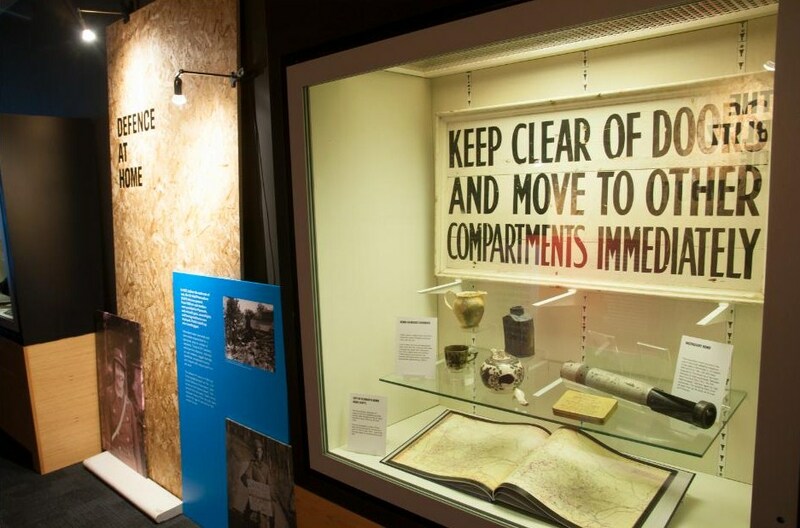 We recently opened an exhibition at the Council House called ‘Plymouth – From Destruction to Construction’. The exhibition has been coordinated by two of our Learning Development Officers and looks at the impact of the Blitz on Plymouth and the ambitious plan that was devised to rebuild the city afterwards. Our Curator of Decorative Art has organised some objects from our art collection to be included in the displays including a jug, cup, teapot, bottle and ceremonial trowel. The first four of these were all smoke and heat damaged in the Blitz. 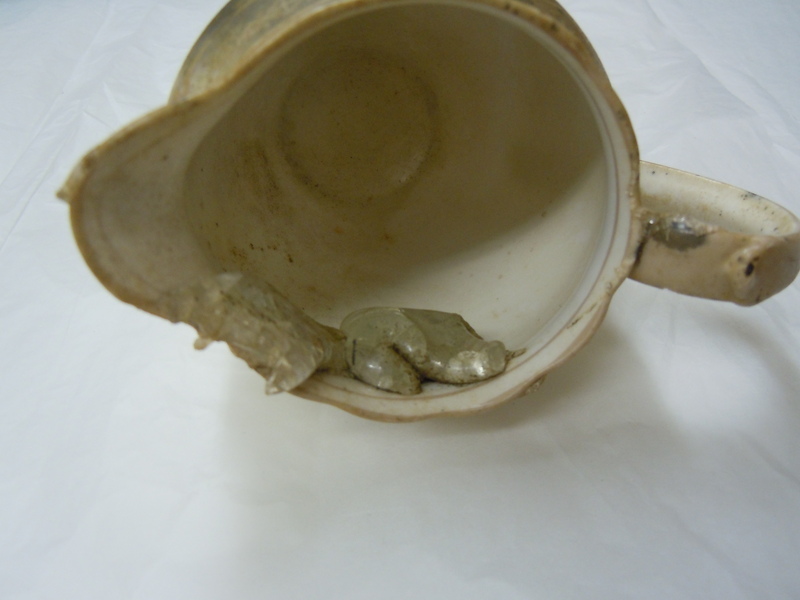 The jug even has another object fused to its inside from the impact. You can see them on show in the exhibition throughout the year. 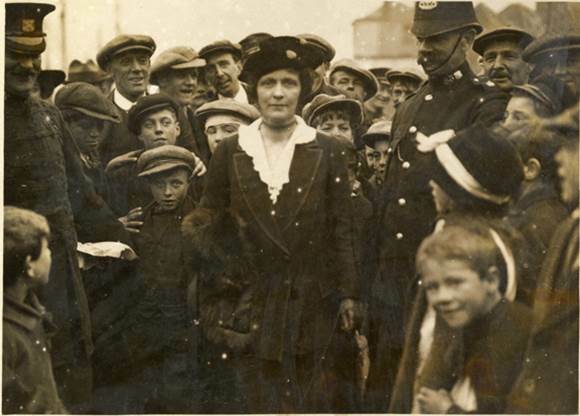 Objects from the collections across the History Centre partnership were also recently used in the research and development of a brand new series of theatrical walking tours. 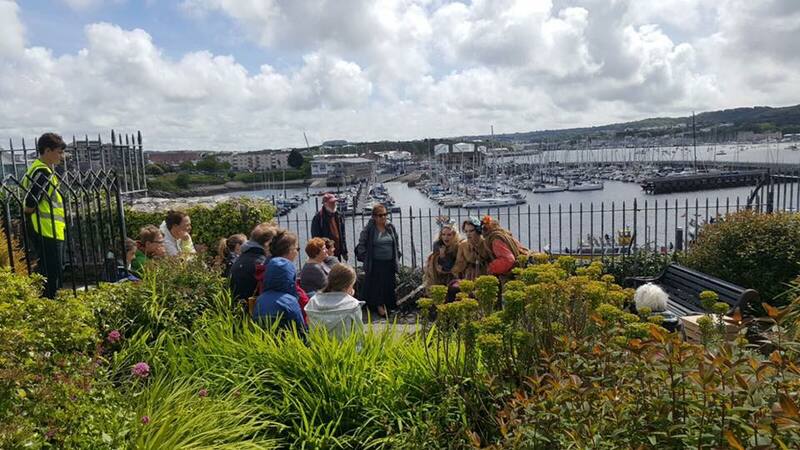 Our ‘Ropewalks’ explore the history of the Barbican area and have been developed in partnership with the Barbican Theatre and writer Jon Nash. 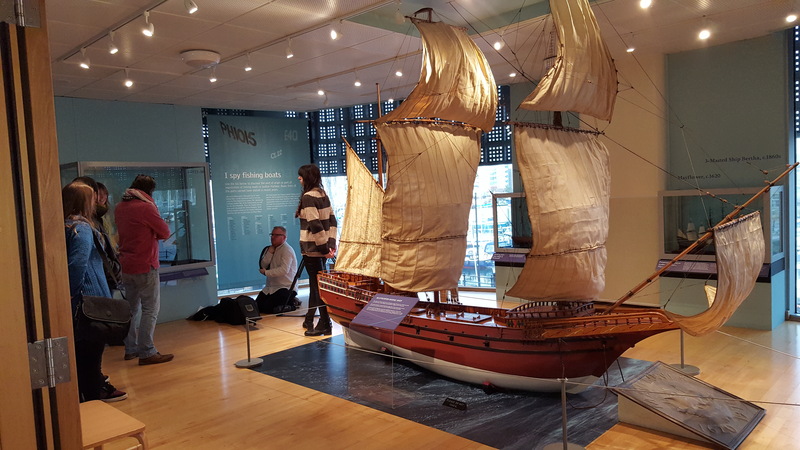 The team who devised the project and script have drawn on research conducted with the Museum and Art Gallery, the Devonport Naval Heritage Centre and the South West Film and Television Archive. Members of the team have been blogging regularly about the work they’ve been doing and you can find links to all their posts here. Tickets for performances in June and August are now on sale. Those that have taken place throughout May have had brilliant feedback from audiences. Staff from most of the History Centre partners, including some of our Curators and Archivists, recently took part in an Away Day at Mount Edgcumbe. Although there are lots of meetings taking place for the History Centre all the time it’s really rare that we all get the chance to spend the day together away from our offices. The event was an opportunity for us to discuss and share ideas about the kind of organisation we will become in the future, as well as work with people we don’t often collaborate with. One exercise where we worked in small groups of six to brainstorm ideas for exhibitions and then feed them back to everyone else was a real highlight and produced some really interesting results. For the first time ever I officially heard the words ‘Recant Programme’ in a meeting a couple of weeks ago! It only seems like yesterday that we were planning how we were going to empty the Museum and Art Gallery so building and construction work could take place. Now, our Collections staff are already starting to think about what they’ll need to do to move everything back in 2019 – as well as bring the collections from the Plymouth and West Devon Record Office, South West Film and Television Archive and South West Image Bank onto site. More on this in future posts! 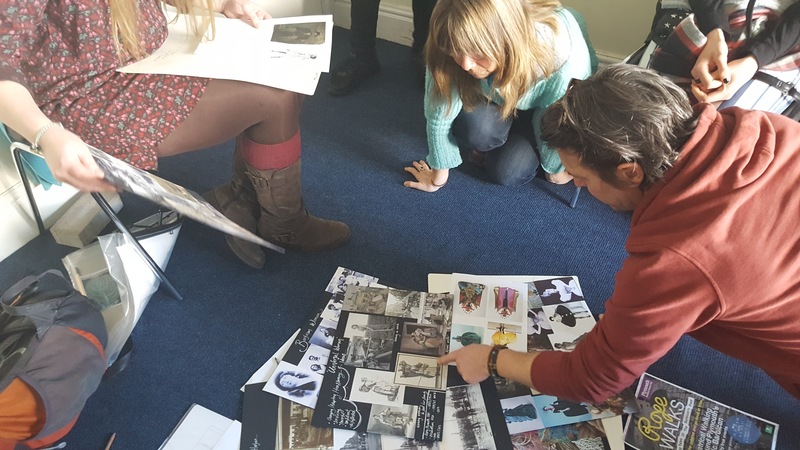 One of the most major pieces of work that our Curators and Archivists have been involved in over the last few months is the development of the designs for the new galleries that will feature in the History Centre. As I highlighted in a previous post back in March, it’s a huge piece of work. More progress has been made on this over the last couple of months and a series of workshops have been held with Event Communications who are leading on the gallery design. Each workshop has focused on a particular gallery, has lasted for 2-3 hours and involved management and education staff too. The sessions have been fairly intense at times as people challenge each other to ensure we end up with the very best design – but it’s a process which has also strengthened our collective vision for the project. We should be receiving some updated visuals from Event in the next couple of weeks and we’re really looking forward to sharing them with everyone. Watch this space! As a writer and theatre maker I’ve always been interested in story. The stories we hear, the stories we tell each other and ourselves. Stories help us make sense of the world around us and can bring us together to learn and think and feel. So around a year ago I began a project of research into the history of the Barbican: its buildings and people, trades and events. As I collected the expected dates and timelines and names and records, I was looking for the smaller human stories that stood out against the backdrop of history with a capital H.
Over the weeks of research and development with our brilliant volunteer actors we talked and improvised a lot about these ideas and how, in something like a walk, we could bring them to life and surprise our audiences. We began to take fragments of history, from the Bread Riots, to smuggling to Dutton’s shipwreck and looked for the human beings that could tell us those stories, what they might have to say about them that could surprise us. We’ve been pirates and fishwives and emigrants and customs officials and all sorts of characters. Which led to the questions: who is telling these tales on this walk? Why are the telling them and from whose point of view? Among the historical quotes about Plymouth, one stood out. 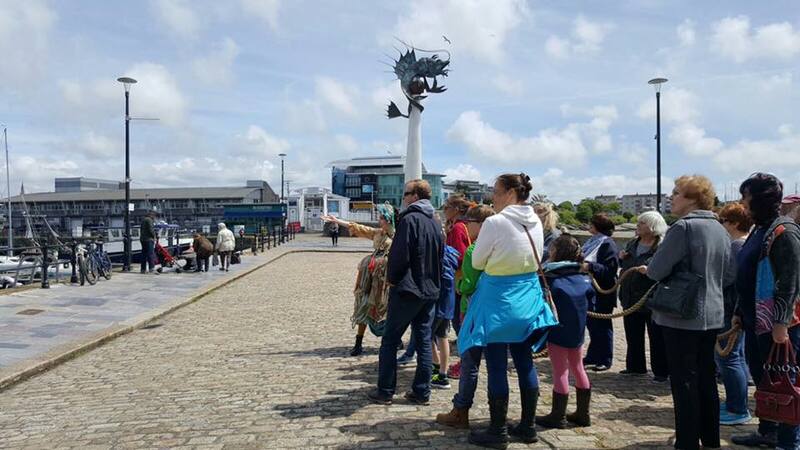 Count Magalotti (visiting from Italy) in the 17th century describes Plymouth as a city of ‘women and children’ as the men were often away fishing or sailing or at war. 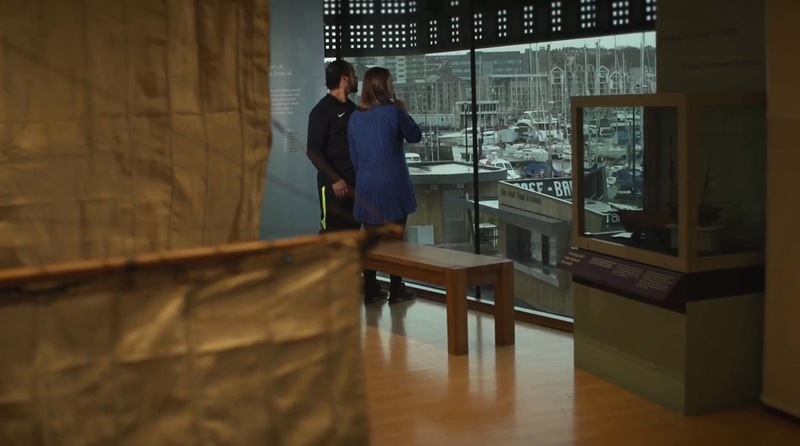 We wondered what stories the women of the Barbican might tell and how they might view the events we were interested in. We imagined them being there by the harbour side from the very beginning. They’re still there today if you look in the right places. The initial focus of my research had been food and drink. Over time this isn’t really about menu options but something much more urgent. How do you survive? How have people who live on the Barbican survived? What would these women want us to know about how they lived their lives, even when the going got tough? Much of my work in writing the final show has been about finding these voices, listening to them and not minding too much when they argue or disagree or even stretch the truth a little. To create a trio of long-lived Barbican women who can bring these stories to us and make us feel as if were were really there. I’m on to my second draft now and they still keep surprising me. I hope they’ll do the same for all those who come to see the final performances. Buy your tickets for ‘Ropewalks’ here. Performances take place on selected dates during May, June and August. Spring has finally sprung and we’ve now set up our permanent home at ‘MASS’, our offsite store! The last few months have seen many changes at the store. We are now housing all the art collections (including fine art, decorative art, sculpture and costume), our Designated Cottonian Collection, the ethnography collection and some of our archaeology collections, plus an array of other Museum materials and equipment. We also have a dedicated team based at the store. This means we’ve been able to welcome both researchers and volunteers back to explore our collections! 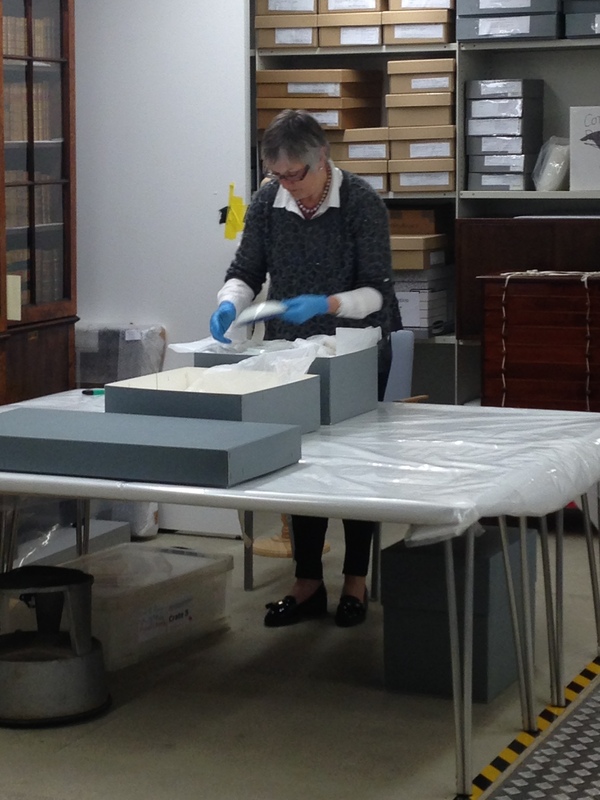 We’ve had Amanda Yale, an independent Paper Conservator commissioned by the University of Plymouth, looking at our Cottonian Collection. Amanda spent a few weeks conducting a survey of all of the books within the collection as well as the archive, which has never been catalogued or put on display. 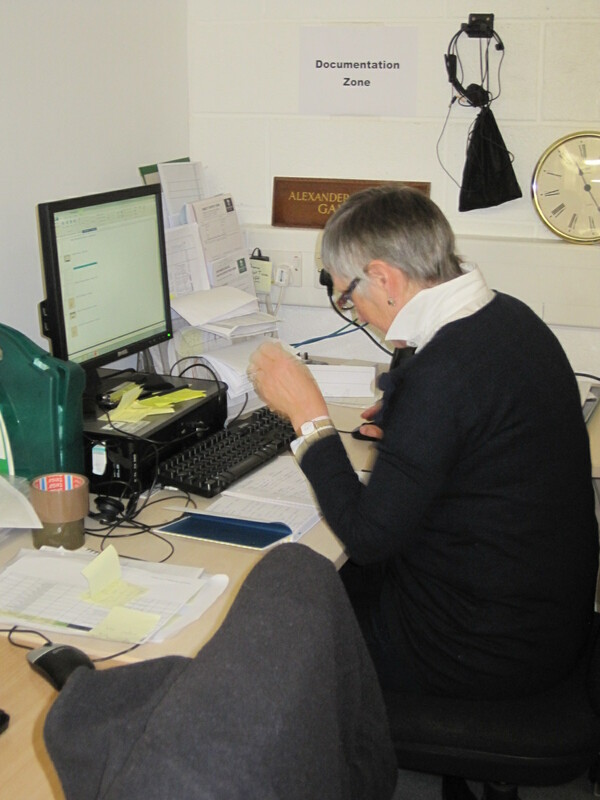 Our hope is that her work will feed into a joint project with the University, one of our History Centre partners, to digitise the entire Cottonian Collection for future research and use. In the past couple of weeks we’ve welcomed the first of our volunteers too. Jane Howlett and Celia Bean were two of the incredible team of volunteers who assisted with the decant of the Museum and Art Gallery building last year and they’ve been itching to come back and lend us a hand. Recently they’ve been re-assessing and documenting our ceramics collection in preparation for the new displays we’ll be creating for the History Centre when it opens in 2020. Madeleine Shaw, another of our volunteers, has been working with our Collections Assistants on our works on paper programme. Through this we hope to inventory and re-house all our works on paper in improved conditions in order to preserve them for even more centuries to come. This is no mean feat: the collection encompasses prints, watercolours, drawings, sketches and even miscellany like velum manuscripts, letters and marriage certificates. It amounts to approximately 11,000 individual works which we are looking to improve both the storage and documentation information of by 2020. Luckily, one of our newest additions to MASS has more than a helping hand in this project – and many more besides. Terah Walkup joined us as our new Fine Art Curator at the beginning of April and she’s already made an incredible impact on our work with the art collections. Originally from Texas, Terah hails from Exeter and comes to us via RAMM and the Art Institute of Chicago. She’s thrown herself headfirst into the works on paper programme, has been getting up to speed with History Centre developments, given a Bite Size talk at Peninsula Arts about their ‘Thinking Tantra’ exhibition, and more. Not bad for her first month! As well as these ongoing projects we’ve seen items from our collections go out on tour to other venues in the South West. 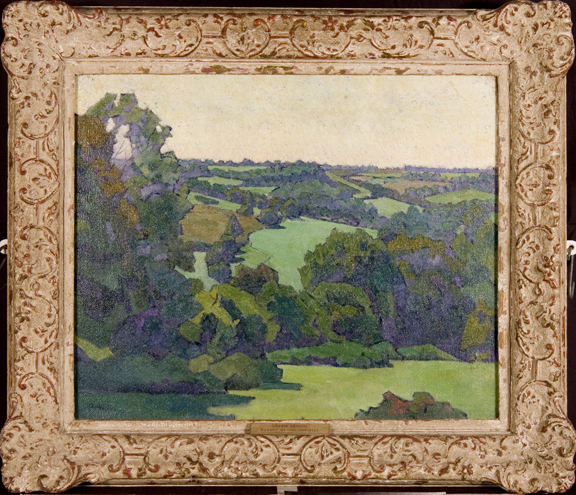 These include ‘Green Devon’ by Robert Polhill Bevan, now on display in the Museum of Somerset’s ‘A Fragile Beauty’ exhibition. Over 100 pieces of Plymouth Porcelain to the Cookworthy Museum, Kingsbridge for their ‘William Cookworthy: Pioneer of Porcelain’ exhibition. All these loans were coordinated from MASS and there are more in the pipeline. For now the work continues exploring and improving our collections here and we look forward to keeping you updated with all our discoveries in the lead up to 2020. Once upon a time I was an historian, a published historian in fact who became a language assistant who then came back to the UK – back to Plymouth to become unemployed for two years! But that was once upon a time. I decided to do something I’d always wanted to do which was work in the performing arts. It hasn’t been easy. Starting down a new career path in my mid-twenties when my confidence was in the dustbin wasn’t something I ever thought I would have to do. Starting a career in an industry where your confidence can sometimes take a beating hasn’t necessarily made it easier – but it has made me more determined. I enrolled in a BTEC in Performing Arts at City College to test my resolve and now here I am. It’s nearly four years since I decided to go down this route and without the help and support I’ve received from the Barbican Theatre I wouldn’t be here today. Where’s here? I’m one of the devising actors on the ‘Ropewalks’ walking tours project, working with the Barbican Theatre and staff from the City Council’s Arts and Heritage Service/History Centre to help bring heritage and performing arts together. 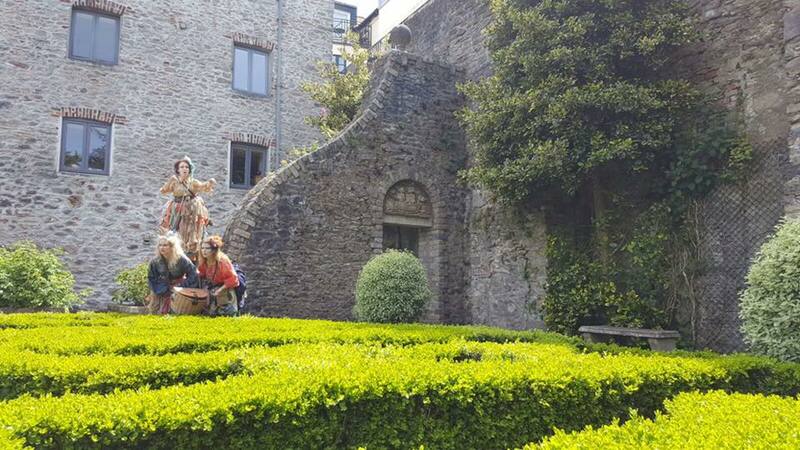 It’s been a fascinating experience, working with a large team of actors, directors, writers, costume designers, graphic designers, marketing officers, historical professionals and more to bring a series of theatrical walking tours that will bring the Barbican to life to the people of Plymouth. I thought I knew the history of Plymouth. I’ve learnt that you can never really know the full history of a place or of a people. You can only know so much and there’s always something new to discover. Back in the theatre we’ve been taking extracts from texts, history books and original sources, and considering potential scenarios, characters and pieces that scriptwriter Jon Nash has written. We adapted them and ‘threw them around’ to see what would stick. One thing we realised very early on was that an historical fact or object without a glimpse of the person behind it wasn’t engaging. Put a person behind it though and suddenly it was brought to life. Re-enacting aspects of the Bread Riots – a part of history I’d never heard of! Who doesn’t love a good riot? It’s been a long journey with many a wander through the streets of the Barbican marvelling at the rich and colourful history of this city that deserves to be remembered. Plymouth is a city that we should be proud of and I am very proud to have been part of the team involved in a project which is combining so many strands to develop a lively new form of theatre that I firmly believe will create an immersive experience for everyone who comes to watch. with thanks to James Gibbs at SWFTA for his great and informative Facebook posts! 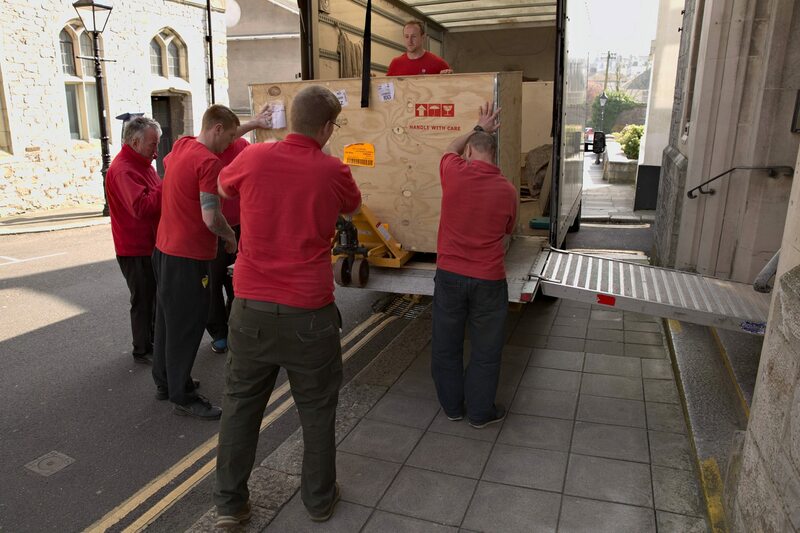 This week a piece of equipment arrived at the South West Film and Television Archive (SWFTA) that has been long-awaited – a brand new scanner. On the surface of it, this might not seem like major news, but it will make a really big difference to the work that takes place at SWFTA and will also have an important legacy for the History Centre. SWFTA has been using a Rank Cintel MKIII scanner for some time. 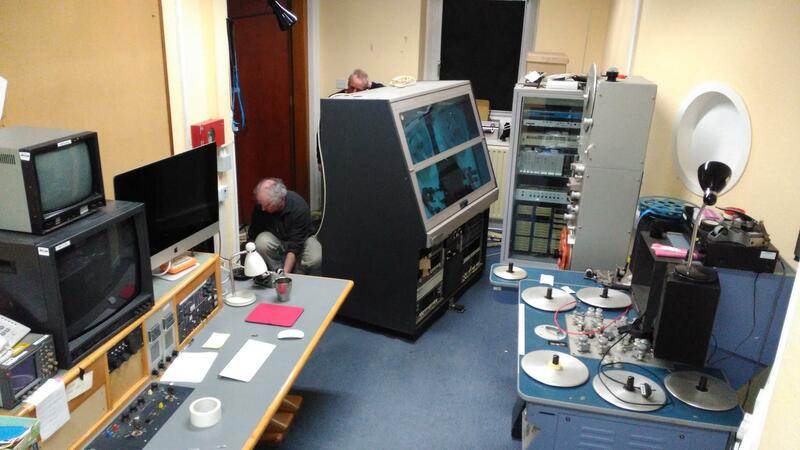 In fact, it’s provided around 30 years of faithful service to the archive and, prior to that, BBC Bristol. Even last week it was busy being put through its paces as all of these were run through it for various projects, including the ongoing development of the gallery designs for the History Centre. The Rank Cintel MKIII has certainly been kept busy recently! Although this scanner will now go into ‘semi-retirement’, SWFTA will continue to use it and it will eventually go on public display in one of the galleries at the History Centre. SWFTA had a bit of preparation to do in the early part of March before they could take delivery of their new addition…..
Making way for the new delivery….. When the scanner arrived on 27 March all the way from Italy, it turned up in a 350kg crate! 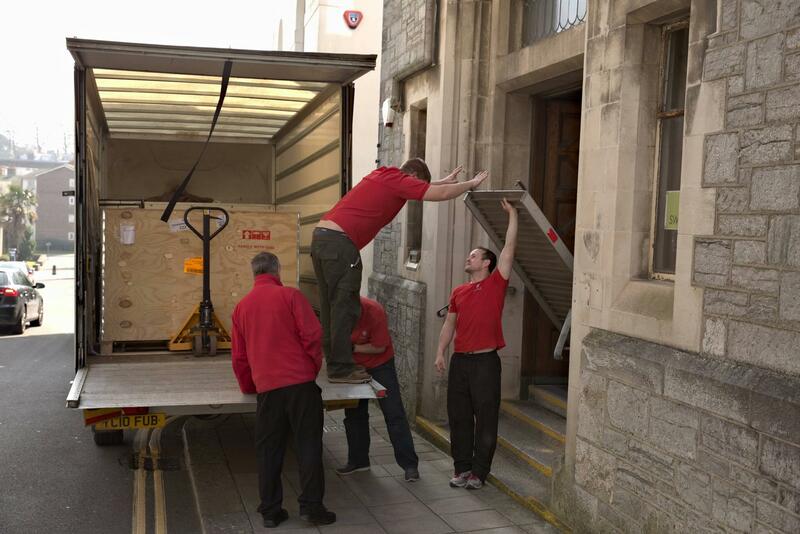 A team of 6 from Kirtley Removals made sure it was safely delivered to Plymouth. They previously worked with the History Centre when the City Museum and Art Gallery was being decanted last year and made the heavy lifting look easy….. The new scanner is a CIR D-Archiver, described in the industry as a ‘complete tool for the restoration and archival process’ and ‘an all-in-one solution for film archival’. It’s different to the Rank Cintel MKIII because it scans every single frame of film as a separate image file. The D-Archiver can scan in and export a variety of different file types. SWFTA will most likely be scanning RAW files and then exporting them as Digital Picture Exchange or DPX files. DPX is usually the chosen format for still frames in storage worldwide. The files will be big which presents us with storage challenges, but the major positive is that they will be the best quality copies possible. This is great news for the History Centre. The better preserved the SWFTA collection is, the greater the potential for using it to enhance our visitor experience and providing the public with access to it. SWFTA staff and volunteers had their first day of training on the scanner this week. The day involved a bit of unpacking, a bit of assembly and a bit of scanning. All in all it was a good and productive day at the archive – as you can see from the slideshow below. As this post hopefully outlines, the delivery of the new scanner marks the start of an exciting time for the staff, volunteers and film collection at SWFTA. For a further reminder about the archive and its role in the History Centre partnership take a look at the ‘Meet the Team’ feature we produced last year.